Earlier today I checked over my home brew Delta Loop and ended up re tightening the guy ropes. 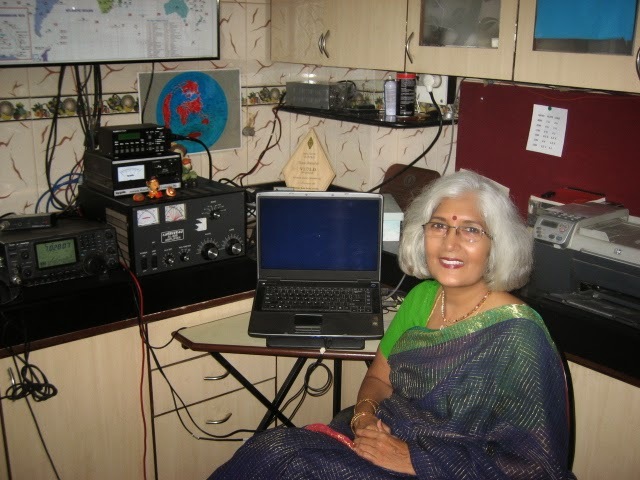 After that I was playing around with the recently self repaired Yaesu FT-890 which is hooked up to the loop and came across VU2SWS - Sarla who was working a "pile up" on the 17m band. After a few attempts I made it into India and received a 5/3 report from Sarla - VU2SWS pictured below. 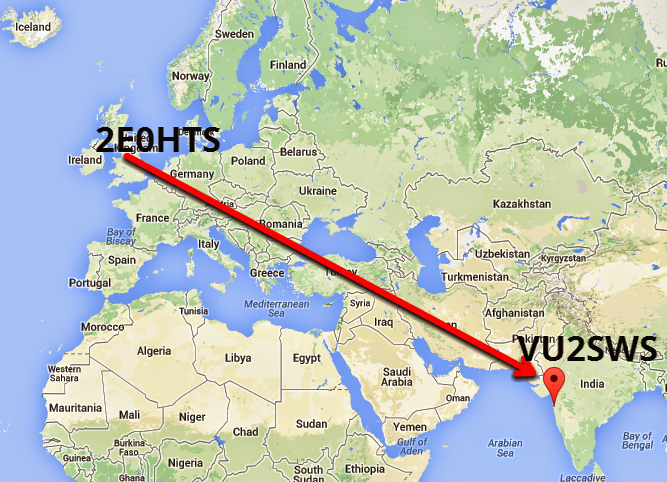 A great contact as well as a good result for the FT-890 and Delta Loop setup! 73 & thanks goes to Sarla for pulling my signal in through the pile up! 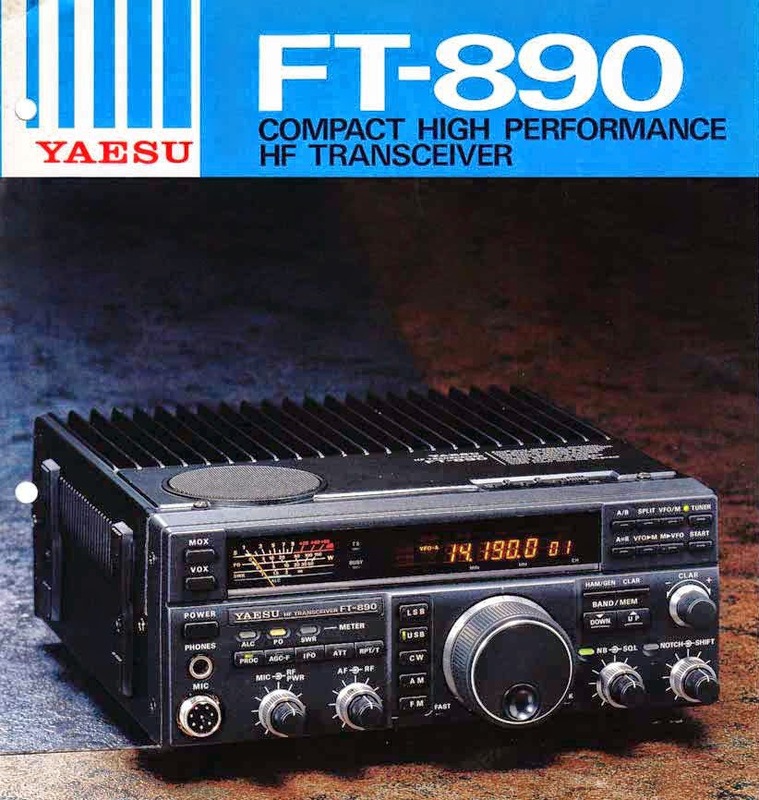 I have owned my Yaesu FT-890 since 2002 and have enjoyed years of reliable service. A couple of months ago you may recall that I recently reinstated the FT-890 as a second set up allowing operation from our dining room as well as my regular shack. I have since worked a good page and a half of paper logged QSO's into places like the Middle East, The US and EU as well as across Russia. I have been using the homemade 20m Delta Loop that I recently made and installed which is performing very well on 20m. The delta loop works well on 17m, 15m, 12m and 10m with the help of an old Nevada TM1000 manual antenna tuning unit.This week I managed to get into a couple of US repeaters up on 29Mhz using the FT-890 and Delta Loop which is pretty cool. Whilst enjoying my old rig I discovered that it had developed an error and occasionally would drift up and down frequency both RXing and TXing. The drifting in frequency seemed to come and go and seem less frequent once it had warmed up after the radio had been left on a while. I did a quick google search and discovered the problem was fairly common with the FT-890 and FT-840. More important it could be rectified by cleaning or replacing a trimmer cap (TC 1002) which is located in series to the reference-frequency-oscillator. The terminology sounded tricky and off putting but fortunately I continued to surf the net and came across a really well explained write up regarding the step by step approach to carrying out the task. The details included pictures and simple instructions which I easily followed. Last night I completed the repair successfully and the FT-890 is once again back to its excellent self, ready for another 12 years of action h.i. My FT-890 is back and tonight (22.00 utc) I worked Mexico up on 20m (5/8) on the freshly repaired YAESU rig and Delta Loop, I am feeling pretty pleased with myself for doing the repair. 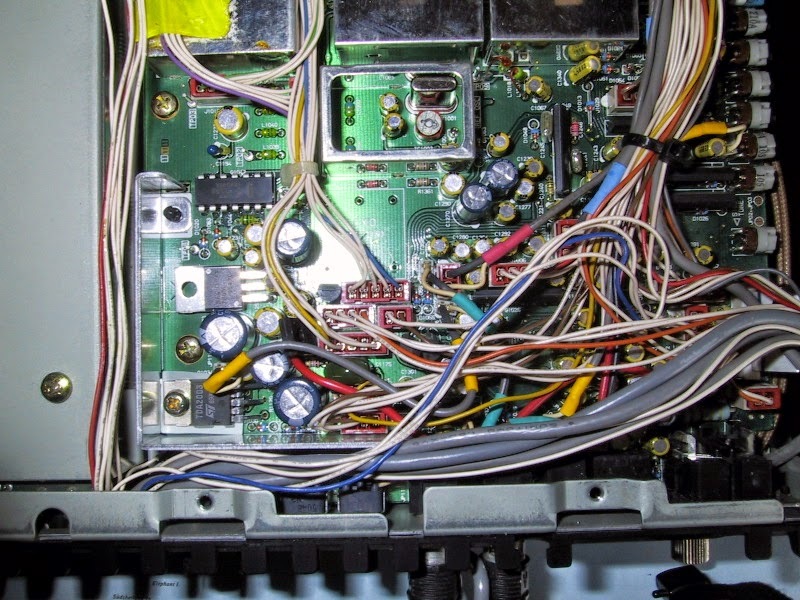 Below is a snap of the LOCAL UNIT which contains the reference oscillator, the XTAL, a few resistors and capacitors as well as the trimmer in question - TC1002. I sorted it out by giving a couple of closely monitored turns to the trimmer before putting it back to the correct alignment.